Calanus¨ is a decapod (10 legged) free swimming zooplankton that are instantly recognised by their intense blood-orange colouration. This colouration stems from the extremely high levels of astaxanthin and other carotenoids stored within the Calanus¨ body. 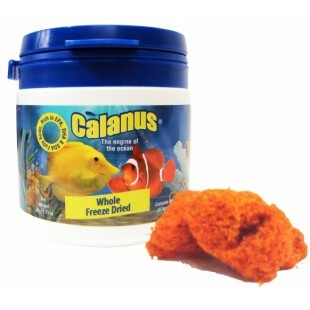 Calanus¨ are highly beneficial to the immune system of aquatic life therefore providing greatly improved survival rates. Calanus¨ contain very high levels of the famed fatty acids EPA, DHA and SDA the latter of which is surprisingly of plant origin and is present also in plankton algae and certain terrestrial plants.